Angelababy turned 29 years old today. 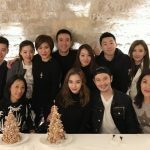 In Paris to attend a fashion show, Angelababy extended her stay to celebrate her birthday with husband, Huang Xiaoming (黃曉明), and their friends. The couple did not bring along their one-year-old son on the trip. 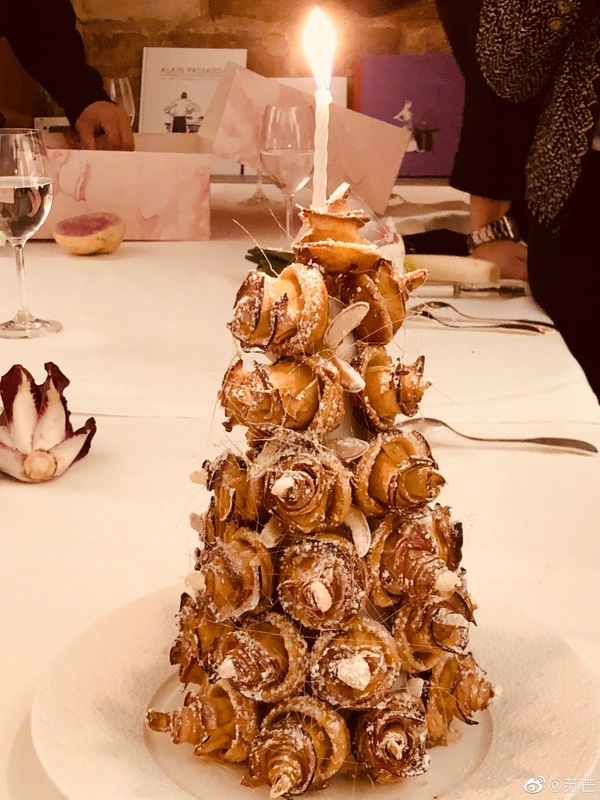 The group celebrated Angelababy’s birthday at a local restaurant. 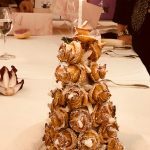 The party ordered two dessert towers made of rose pastries. Angelababy was seen clasping her hands together to make a birthday wish. Loved by her husband and best friends, Angelababy is indeed a very lucky woman. Still pretty but wow, all that heavy makeup. There is nothing pretty about plastic. Hong Kong’s very own Barbie and Ken. A marriage made in plastic heaven, literally. Wonder if she will celebrate the big 30 next year by getting another ‘do-over’. She’s old enough to drop the ‘baby’ in her strip-teaser of a silly name.